The craftmenship at Ace Marks is deeply rooted in tradition as their craftsmen are men and women who work for some of the most renowned luxury brands in the world. While being designed for comfort, this handcrafted, ultra-luxury dress shoe is packed with features. 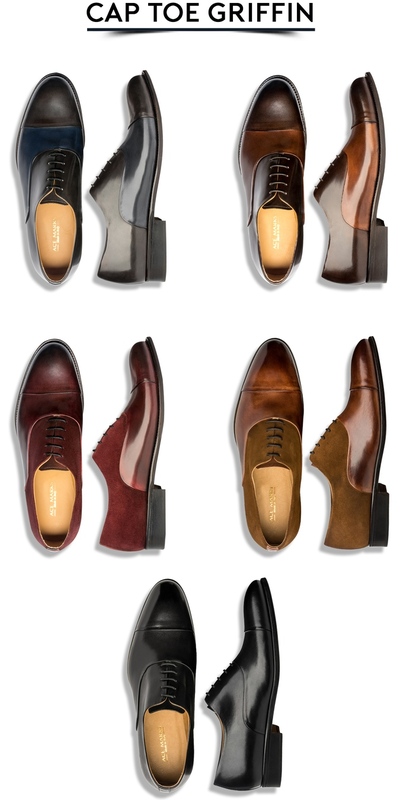 With its innovative design and bold attitude, no wonder Ace Marks shoes are built for the modern gentleman. Catered to gentlemen looking to step up their style and add swagger, the Ace Marks man is not afraid to be bold in his success. Luxury does not have to cost a small fortune. Because Ace Marks has cut out the middlemen, they are able to offer a product of the highest quality at a market disruptive price. For that reason, our shoes go beyond comfort and style. Eye catching and attractive, Ace Marks shoes are statement shoes that reflect your personality. Although Ace Marks is making their impression in the fashion world, they are also giving back. Ace Marks is the first and only luxury brand that will buy back its shoes! When you send back your old Ace Marks shoes, you get $60 credit towards a new pair. Partnering with Career Gear, an organization helping men in need, the old shoes will be donated to men who are re-entering the work force. Wing Tip Vincent: The versatile of all shoes, the Vincent is your Monday morning meetings or a casual night out. Being the perfect balance between traditional and modern, take these to any occasion. The Vincent preserves tradition with the decorative perforation and broguing details while the contrasting leathers make them stylish. 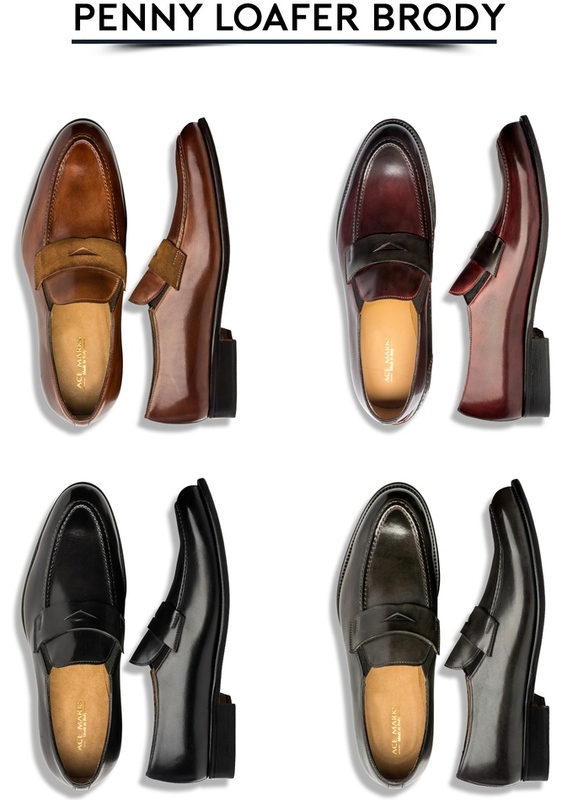 Cap Toe Griffin: Want to be bold? Then the Griffin is the shoe you need. This shoe will adapt to your mood and never let you down. With understated color blocking and polished pairings of leather and suede, the Griffin takes it up a notch from the traditional cap-toe. Penny Loafer Brody: Fusing a classic preppy style with modern elegance, the Brody can be paired with khakis or jeans for your casual work day. Rendered in richly oiled leathers and furnished with a traditional apron toe, pair this shoe with your favorite suit and you’re ready for any occasion. 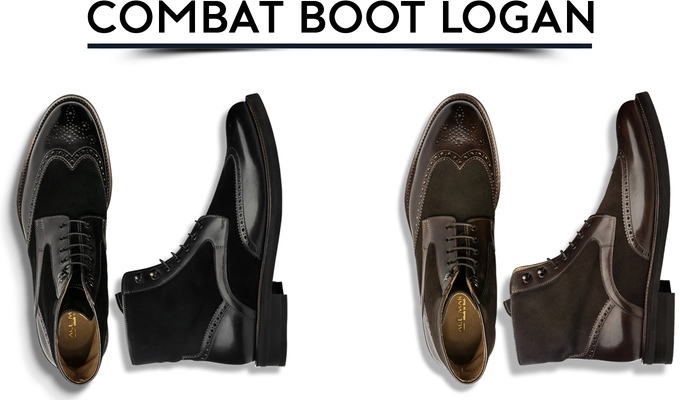 Combat boot Logan: Large and in charge, the Logan has a very commanding appearance. The contrast between the materials and tones gives these boots a powerful and authoritative look. The broguing sets this stylish boot apart while the rubber outsole ads toughness to the look. The entire process for making Ace Marks dress shoes is by hand. This manual process of crafting, dying, and burnishing the shoe gives each pair its unique characteristics. Rigorous inspections are done upon completion to ensure every shoe is of the highest quality. The entire manufacturing process is done in-house. Our precision and skill ensures the outcome is impeccable. Are lined with supple calfskin to keep your feet dry and cool. The team at Ace Marks takes much pride in their product. They promise you 5 things: Quality, Affordability, Communication, Consistency and last but not least Experience and Reliability. Ace Marks. Handcrafted in Italy.